With E3 coming nearing under a month, we all wonder what to expect and what surprises will come to us. Who's going to have a good conference, average, worst, best. etc. Anything can happen. What are your predictions of what you like to see and what rumors you've heard that might show up at this year's biggest gaming event. I think Square-Enix will show plenty of development footage of Kingdom Hearts and FFVII Remake and I don't expect a release date this year and possibly release late next year or 2018. Sony will definitely show more of the VR stuff, PSNeo, Price Drop, and more gameplay footage from the developed games that will be released this year. If they want to wow us they'd have to make an awesome announcement like getting the Crash Bandicoot rights back and announcing a PS4. Microsoft doesn't feel like they have much to show, but I think their biggest game to reveal is Gears of War 4. They did show their VR stuff last year and I guess they could show more and possibly a release date. I am definitely looking forward to Kojima's next game since he has his own studio working with Sony and with Norman Reedus I think. There's a lot more to say, but I don't want hog all the info lol. So what are you guys thoughts and predictions? Some good predictions there, TK! 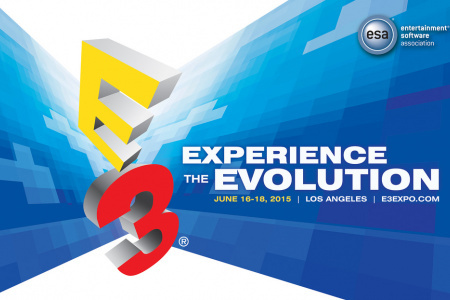 I'm not quite sure what I think will be at E3 yet, besides tons of VR stuff. Might do a few pieces on it leading up to the event, but I imagine they'll touch on all of the games they announced last E3 that haven't released yet (like Horizon: Zero Dawn, Crackdown, The Unfinished Swan). There seems to be some buzz that we might get one or two Final Fantasy announcements. I highly doubt they'd announce Final Fantasy XVI before XV releases, but I thought they did announce XIII during the E3 before XII released, so who knows. It does seem likely that, if anything, they may announce an HD remaster of XII, which I'd be all about if they did. Hoping we get a few more tidbits about Kingdom Hearts III, but not exactly counting on it. Would be cool if they mentioned they were planning to release it during 2017 though. I'm also hoping we get some more new IP announcements. Horizon: Zero Dawn was probably the coolest one from last year, and it sounds as if Sony will have at least a few to be announced (apparently Sony Bend is working on something new). -Horizon Zero Dawn is definitely on the top of my anticipated PS4 games. Also they're making another Unfinished Swan? Haven't heard any news on that. -Yeah they def gotta remaster XII. If they did with X/X-2 then they shouldn't left XII out. I feel that game is underrated and not many people like it or something. -Speaking of KHII, I was on Facebook and saw the game trending. I took a quick peak and it's about a possible release date pass April 2017. I'm guessing a summer release or holiday release makes sense there. I can't say I have any particular expectations, especially since most of the games I was looking forward to from previous years (NO MAN'S SKYYYYYYYYYYY) are already out or going to be out within a few weeks of the show. As usual I'm looking forward to seeing what Nintendo brings, especially if they're not bringing the NX. I mean, if they don't have that to show off, they must be planning something big enough to distract people from that, at least that's what I hope. I'm also hoping we get a little tease at what Kojima is working on. It's probably still too early for them to reveal anything substantial, but any information will be enough to get me excited. If there's one thing I'd really like to come out of E3 (or just, you know, whenever) it's for Yacht Club Games to nail down the release dates for the King Knight and/or Spectre Knight campaigns for Shovel Knight. It's always hard to predict what will happen at E3 and there's a lot of things I'm already so excited about that seeing them again won't change anything, but I know we're in for some fun surprises one way or another so I'm looking forward to it. If It's not VR it's not worth playing. My only interest in E3 is all the VR hotness. I don't care about consoles I never touch them anymore and normal games just seem boring now. Nintendo is pretty much dead at this point and will probably be leaving the console market soon if NX isn't the most amazing thing in the world. I don't have a PS4 and never play my XBone. Now I am off to epic racing and drone blasting then a epic workout with sweet music. I'm pretty much done with Nintendo, even as much as I love games like Zelda and Smash. I just can't justify giving them my money anymore. I'm just hoping a release date gets teased on FFVII and that it doesn't get dragged along like they've been doing with FFXV for the past how many years? Because of what happened with Wii U, you mean? Or because you're just not as interested in their games these days? A little out of column a, little from b. Wasn't very impressed with the wii u or with the nx around the corner, its likely demise. I also find that I just don't seem to play the other Nintendo exclusive games much anymore. Square-Enix released an early E3 trailer with I Am Setsuna. Same I mentioned in Jason's thread that the price and being digital only is a concern. I wouldn't actually mind digital, but only at the right price. $40 feels right at physical, but wrong at digital lol. Weird feeling that way. Final Fantasy XII coming to PS4! I think this is an underrated FF title and the first FF game I bought on launch back then (got the steelbook case). Though back then there weren't many people I know liked this game besides me and my bro lol. Not entirely unexpected, but pretty cool nonetheless. I've never played FFXII (beyond the demo that came with...some other game) because I've been waiting for a way to play it on modern consoles/PC, since most of the other games have been released as PSN Classics or on Steam or both, but this one was still always missing. Looking forward to the chance to play it, though I wish it was coming out sooner because I've been in the mood for RPGs lately and this would be a good one to jump into. I'll just have to be happy that we're getting it at all. Hey Venom check out this game from Volition since you love the Saints Row series. This would be a great co-op game for sure. I still gotta play SR4 (waiting for your PS3 to fix so we can play or maybe get PS4 version lol). P.S. I was gonna make a thread about this, but wasn't sure since possibly Jason might put up some E3 articles up. That FFXII is just an updated game with better graphics? If so then I already played the original so I won't need to get it. Just like FFX/X-2, Kingdom Hearts 1.5/2.5, etc. not just a remastered HD graphics, but should come with the uncut/ultimate editions Japan has that was never released in the US with a lot of additional content. Hopefully we'll see more at E3. I don't think I want to replay that game just for that.